This book focuses on the diverse interrelationships between aging and transnationality. 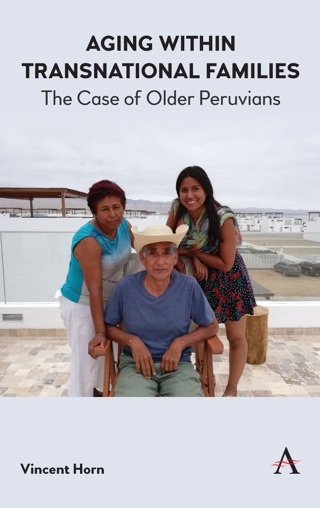 It argues that the lives of older people are increasingly entangled in transnational contexts on the social as well as the cultural, economic and political levels. Within these contexts, older people both actively contribute to and are affected by border-crossing processes. In addition, while some may voluntarily opt for adding a transnational dimension to their lives, others may have less choice in the matter. Transnational aging, therefore, provides a critical lens on how older people shape, organize and cope with life in contexts that are no longer bound to the frame of a single nation-state. Accordingly, the book emphasizes the agency of older people as well as the personal and structural constraints of their situations. 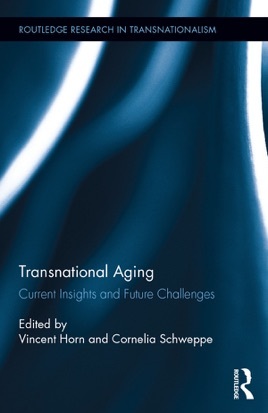 The chapters in this book reveal these aspects by approaching transnational aging from different methodological angles, such as ethnographic research, comparative studies, quantitative data, and policy and discourse analysis. Geographically, the chapters cover a wide range of countries in Africa, Asia, Europe, North and South America, such as Namibia, Thailand, Russia, Germany, the United States and Ecuador.